Without accountability, you won’t have high performance. you can’t have a positive work environment. Hard-working employees get frustrated that management doesn’t hold poor performers accountable. Work relationships are strained and teamwork disappears. How Do You Create a Culture of Accountability? to each client’s needs, goals and timelines. can be included (click Learn More for details). 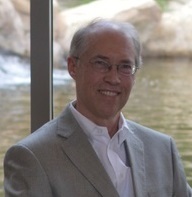 Dave Newton, has a track record of implementing innovative and successful leadership and HR practices. Dave was opening VPHR of the Venetian and was responsible for creating the strategic HR plan for that property. The components of the Creating a Culture of Accountability training have all been proven effective in creating an exceptional work environment and a high performance culture. Shortly after opening, the Venetian (despite being one of the smaller companies competing) was chosen to receive one of two available Macau gaming licenses, and it has since grown into the Sands Corporation, one of the most successful gaming companies in the world.